Heart and soul captures the essence of this Cotswold style stone and wood clapboard country house which is sited high on eighteen very private acres with outstanding views of the rolling hills of Westchester. Enjoy a serene setting of gardens, patios, gazebo and pool. A post and beam barn with apartment, a studio, two car garage, a separate tractor barn and a delightful stone and wood shingled garden house enhances the property. The living room has a wall of French doors opening to the patio, coffered cherry ceilings and cabinetry, wet-bar and a grand fireplace. An inviting dining area features a fireplace, a vaulted brick ceiling with sitting area which opens to the chefs kitchen with a pantry. There are 4 bedrooms all with en suite baths and an office. A place to be inspired by and not to be missed! Only one hour to NYC with Metro North just nearby. 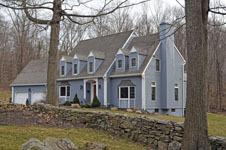 A rare opportunity; live and work within the charming Village of Katonah! This village home has been updated and expanded adding a modern European townhouse impression throughout with a classic open floor plan. Overall features include; custom floor to ceiling windows, wide plank hardwood floors and custom cabinetry. There is a professional office of 415 sq. ft., with loft and half bath over the garage. 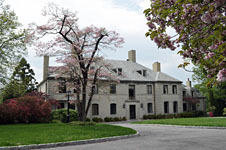 The grounds are private with patios, stone walls, fruit trees and flowers. A water garden gives this discreet end of Edgemont road peace and serenity. 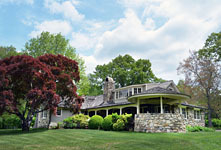 Historically significant 10.8-acre property offers privacy and luxurious country living 20 miles from Manhattan. Impressive 1938 Bedford stone mansion features period details, rich wood paneling and gracious family rooms. 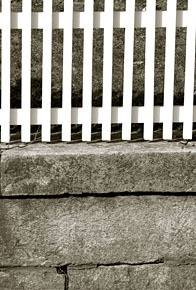 Standing guard at stone pillared entry gates is the Odell Tavern, built in 1693 and rich in Revolutionary War-era history. A sprawling 1800s barn adjoins rolling fields and a sparkling stream. In-ground pool, formal gardens, park-like setting. Property is sub-dividable. 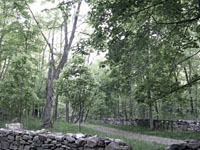 Very private wooded, flat usable 3.20 acre home site located at the end of a country neighbourhood road in cul de sac. BOH approved for 4 bedroom house. 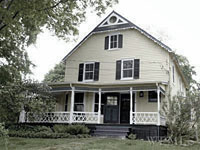 Convenient to school, town park and charming village of Scotts Corner. 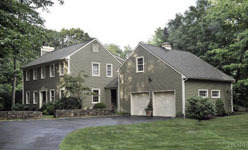 American colonial saltbox partners with French interior and blends the best of both worlds. 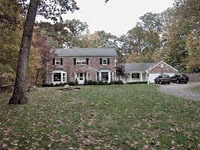 The house sits on over two secluded landscaped acres on a cul de sac off a private drive. The interior details: wide plank wood flooring, millwork, built-ins, columns and French doors. A spacious family dining area in the kitchen is the center of activity. A delightful floor plan enhances the charm of this four bedroom maison de campagne with the added luxury of a solar heated pool. 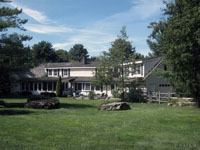 Katonah-Lewisboro schools. 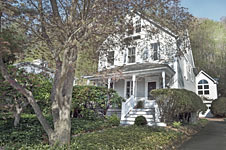 Ridgefield, New Canaan, CT shopping nearby. NYC just one hour away! Country colonial with elegance; the perfect family home with an open light floor plan, located on a quiet cul de sac with a gated entry, beautifully landscaped grounds on four acres. Featuring a dramatic two story entrance foyer, a grand family room with stunning fieldstone fireplace, master suite, guest suite and two additional bedrooms with hall bath. This property has every amenity, fabulous for entertaining and exceptional location to John Jay schools, transportation and shopping. Spectacular estate property in one of the areas finest locations. 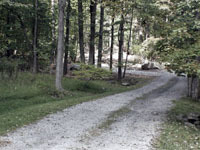 Open field, pond, riding trails and BRLA access. One of the last large parcels in one of Bedford's finest locations. 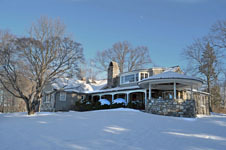 Classic Colonial Opposite 4,800-acre Ward Pound Ridge Reservation. 3+ Acres Of Total Privacy. Beautifully sited country house on 3 plus acres. 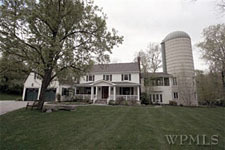 Country colonial connected to original grain silo overlooking scenic pond and pool. Silo with media movie room. Lovely updated antique in the village  walk to everything!